Vampires Everywhere! are gearing up for a tour opening for Filter with a headlining run that stopped at Aftershock in Merriam, KS on Wednesday, March 9, 2016. 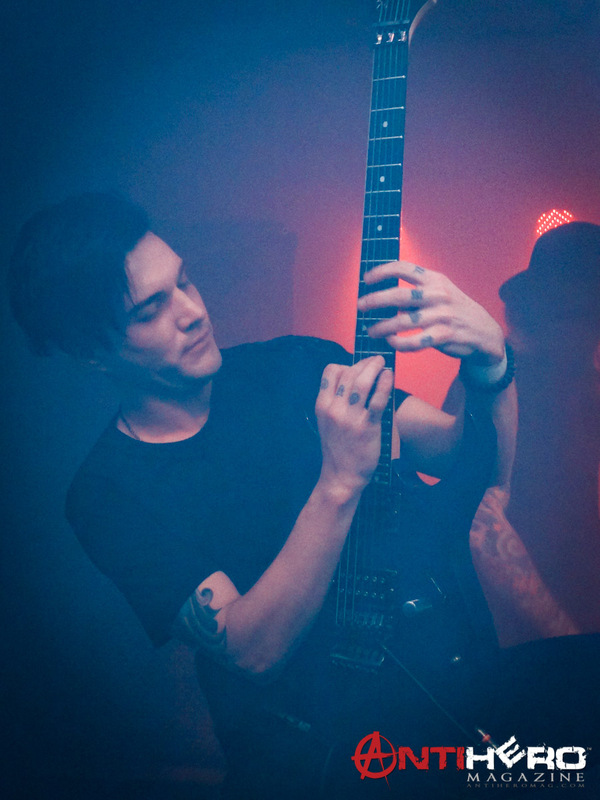 Along with them were SycAmour and Brightwell, as well as a pair of local openers. I arrived to the venue too late to catch the first local band, but the following act, a nearly brand new band called Autumn Lies Empty, were very impressive. They tore through a half-dozen songs with a great mix of clean melodies and explosive screams. 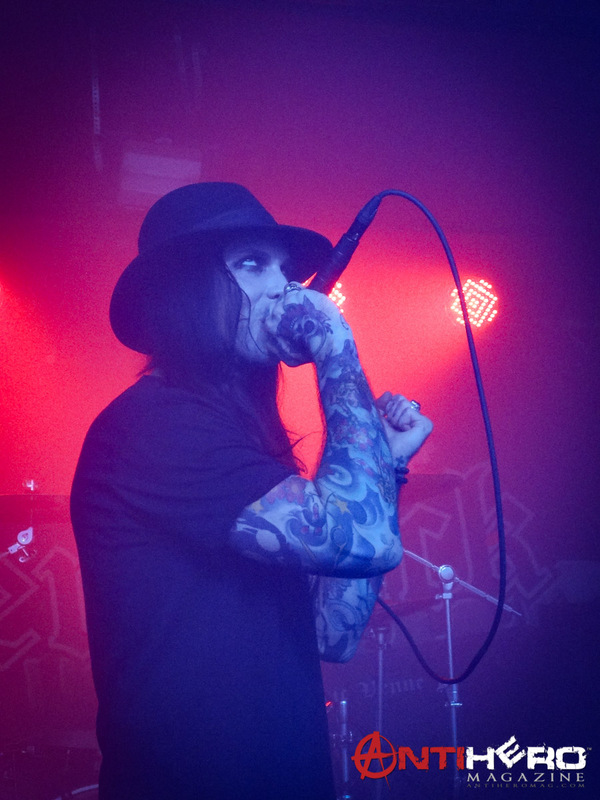 Frontman Nick Tate has an impressive range, able to sing both clean and gruff, and hit both high shrieks and low roars, often in the same verse. Guitarist Corbin Anderson also showed off his skill, with complex leads that remained melodic and catchy. It’s hard to find touring acts that can combine technicality with memorable riff, let alone locals, so this is definitely a band to watch for. The two touring openers followed. Brightwell had some fun guitar parts and a decent screamer, but there is no other way to describe their clean vocalist than painfully bad, and their stage presence was very awkward. SycAmour reversed the trend with great vocals from both the clean singer and the screamer, a great command of the stage and the crowd, but relatively forgettable riffs. Additionally, the guitar was mixed well in the speakers, but the amp itself was dialed up so high that the other instruments and especially the vocals were often overpowered. Musically, Vampires Everywhere! are a close cousin to 1990s Marilyn Manson. Everything from the music, to the lyrics, to the visual elements screams shock-rock, albeit filtered through their own sensibilities. It’s a good sound, but also borders on being a rip-off. They opened with a set highlight, the rousing “Star of 666.” Also included in the short 8-song set were five tunes from their upcoming album “Ritual,” “Perfect Lie,” “Truth in You,” “Violent World,” “Black Betty” – probably the best song of the night, with a heavy industrial percussion element and a passionate, enraged vocal performance delivered by frontman Mike Orlando – and a gothed-out cover of Hozier’s megahit “Take Me to Church.” “Kiss of Death” and set closer “Drug of Choice” also made an appearance. While the brevity of the set was disappointing, Vampires Everywhere! certainly succeeded in riling up everyone in attendance. The visual element of their show also deserves special notice. Before Vampires Everywhere! took the stage, they flooded the entire venue with the thickest fog I have ever seen, indoors or out. I’m honestly impressed they were able to produce that much haze. The effect had a mixed result: while it was hard to see (I was front row stage right and could not see the bassist to stage left until halfway through the set, or the drummer till the very last song), it added an atmospheric element to the band’s horrorcore vibe that made the unfortunately under-attended event feel like a 90s goth rave, especially when combined with the strobe flashes and the band fading into and charging out of the mist with regularity (Lost Boys, anyone?). It also forced everyone to crowd around the stage, making things feel much more packed than they actually were. If you happen to enjoy older Manson and don’t mind a band feeling a bit derivative, seeing Vampires Everywhere! is certainly worth the price of admission.